Content marketing is one of the biggest tools that B2B marketers have in their tool belt, and yet very few businesses have a corporate style guide to ensure brand consistency and grammatical accuracy in their content. Why? Because it’s not perceived as an immediate customer need, even though it’s one of the best ways to influence customer choice. 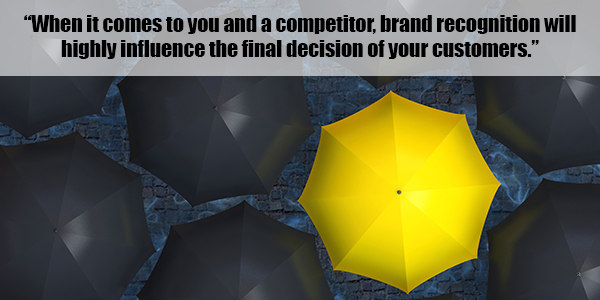 When it comes down to you and a competitor, brand recognition will highly influence the final decision of your customers. If you’ve created a clear, consistent brand message that’s plugging in to the right marketing channels, you’re sitting pretty in the power position. There are lots of benefits to having a style guide that helps fine-tune the messaging in all of your marketing channels. Customers respond to consistent, well-written messaging across all marketing channels. It clarifies how you can be of service, saves research time, and delivers a nice little package of insight that plays well with a short attention span. Using the specific language that your target audience responds to also builds brand loyalty. Is your brand knowledgeable yet playful? Are you the front-runner in your industry, or a slimmed down, sleek alternative to the competition? A style guide can help you choose language that supports what you stand for and makes the brand come to life for customers in a relatable, fun way that builds connection. Every business uses terminology specific to their products, services, or culture. Make it easy for each employee to plug and play what they need for their unique job, and provide the consistent level of professional clarity that customers crave. A style guide also ensures that the names of proprietary products and services are conveyed accurately in every instance. Not everyone is a whiz at grammar, and even the best of us still have the two or three things we always need to Google to clarify. A style guide can supply some helpful refreshers on the trickier aspects of writing. A brand is not content alone. You need to pair it with imagery, social media strategy, proper formatting, and key support pieces in order to paint a full picture. When you can put these essential details together in a handy dandy guide, it’s easier for everyone to see how all the separate parts support the overarching strategy. Search engines are all about creating indexes of key information to help people find relevant content faster. If content isn’t consistent, or if it uses several different technical ways to explain a product or service, search engines might not be able to index it properly or point the right people to the content they need. Simple, time-saving measures always help a team run more smoothly. A style guide provides easy-to-access information so your team can focus on the task at hand instead of researching the basics over and over. Team members also have confidence that they can act independently and accurately. A style guide provides guidelines for all of the content creators in your company, and offers a structure for them to get creative while still staying clear and on-message. What are some must-haves in your style guide? Share them here!